We're back for another edition. 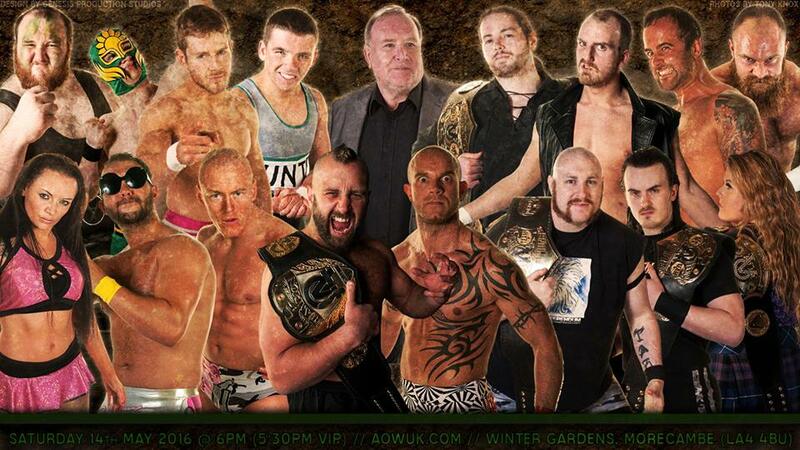 Another edition where we take a little look at just some of the action taking place in British Wrestling this week. 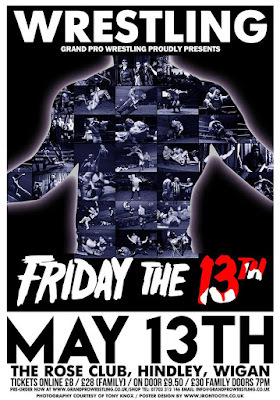 Firstly, we'll be off to Hindley in Wigan for the (un)luckiest day of the year. Then we travel to Morecambe for a War On The Shore. Before we end the weekend back in London for another PROGRESS Wrestling ENDVR. Let's get Ready For The Weekend. 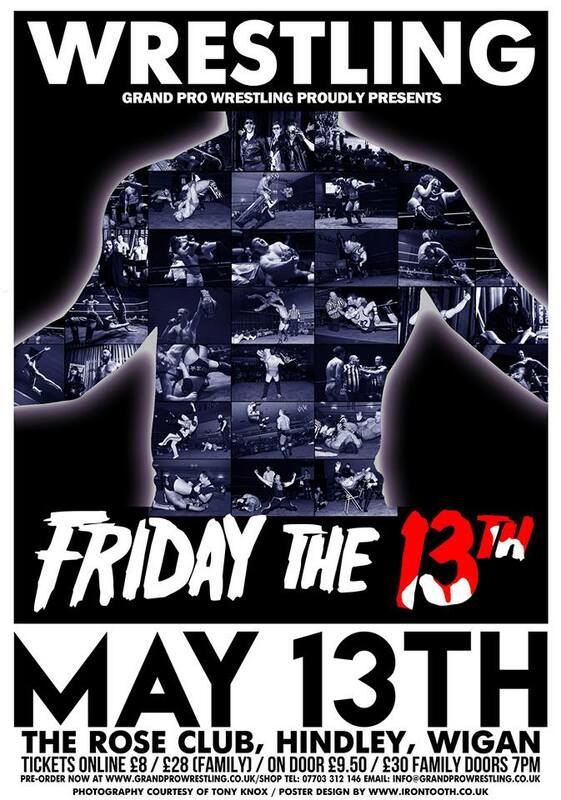 Starting off the wrestling weekend and we head to Grand Pro Wrestling for their aptly named 'Friday The 13th' event in Hindley, Wigan at The Rose Club. The show will see another Fast Track 4-Way match where either Craig Kollins, Nick Maguire, Dylan Roberts and Jimmy Jackson will fight for the opportunity to challenge for either the GPW British or GPW Championship. Opportunities like this do not present themselves that often so the pressure will be on all four men to win. While one champion will be defending their championship, the other will be in an even more challenging situation when they face The Hate League's Danxig and Soner Dursun. Both men have been under the tutelage of Dylan Roberts for the past few months and a win over a current champion would be a great way to impress their leader. When Ricky J McKenzie made his return to Grand Pro Wrestling a few months ago, he did it at the expense of Matthew Brooks' musical performance. The following month, Brooks would gain a small measure of revenge when he cost RJM a chance to compete in the Fast Track 4-Way. These men have outstanding issues with each other and there is only one way to sort out these differences, in the middle of the squared circle. Moving on to Saturday and Alpha Omega Wrestling will be back at the Winter Gardens in Morecambe with 'War On The Shore'. This event will see a number of long running issues hopefully settled although there is a big chance some won't. The main event of the evening will see 'The Heavyweight House Of Pain' Stixx defend the Alpha Omega Championship against 'The Psychotic Warrior' Johnny Phere. These two men have only ever face each other once before and it ended in chaos with no winner. Almost four years after that match these two men meet once more, this time with gold on the line along with Stixx's 8-year undefeated streak. A feud with over 4 years of history will come to a head this Saturday. A feud that could see a championship reign and undefeated streak ended. Back in 2014, The Referendum came into existence and one of the first victims was Danny Hope. Since then, Hope has done all he came to get back at The Referendum. This Saturday he looks to deliver another blow as he faces 'The Best Young Wrestler In The World' Lewis Girvan. While Hope looks to continue this war, Laird Grayson will be hoping that his young warrior will stop Hope's attacks for good. Speaking of The Referendum, another victims of their countless attacks is Lana Austin. She was first attacked back in December 2014 and since then Austin has made it her mission to take on every female member of The Referendum. After defeating a veritable who's-who of Scottish female wrestlers, there is just one female left of The Referendum. The Alpha Omega Women's Champion, Viper. While Austin has defeated everyone that The Referendum have thrown at her, Viper is the champion for a reason. She's world-travelled and has competed against some of the biggest female wrestlers. Viper is indeed a formidable opponent but it is matched by Austin's desire to win. Finally ending the wrestling weekend we are back at PROGRESS Wrestling who are hosting another edition of the highly successful ENDVR events at The Garage in Highbury, London. Over the last six months, Sweet Jesus' Chuck Mambo and Pastor William Eaver, and The Dazzler Team's Earl Black Jr and Darrell Allen have been trading wins back and forth with no one team standing a clear victor. PROGRESS have therefore taken the step to have these two team face each other one more time, this time in a 30-minute iron man match. Both teams claim they are better than the other and an iron man match will show who the truly better team is. When Pollyanna and Dahlia Black are mentioned in the same sentence, the word friendship isn't normally included. The reason is simple, they hate each other with a passion. Pollyanna's hatred grew larger after Black defeated her twice after Black's significant other, TK Cooper delivered a straight right hand to Pollyanna's face. Cooper's interference was brought to a stop at Chapter 29 when Jack Sexsmith got in the way of Cooper's interference in a tag bout involving Pollyanna and Black. Fast forward to this Sunday and Pollyanna will look to gain revenge on Black on her own. However to ensure that TK Cooper's right hand doesn't become a factor again, Sexsmith shall act as the referee on May 15th. 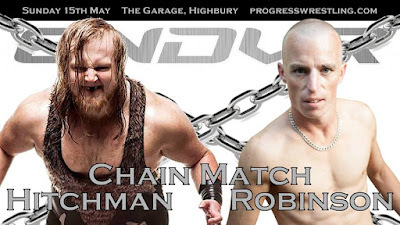 The main event for 'ENDVR:16' shall be a first in PROGRESS as Wild Boar and Paul Robinson look to end their long running rivalry in a chain match. These two men want to get their hands on each other and this Sunday they will have no choice as they shall be joined together by a steel chain. What happens when you join to men together with a legalised weapon? We'll find out this Sunday but chaos and violence are an almost certainty.